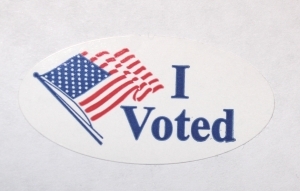 In-person early voting for the May 8 primary election begins today. The 17-day early voting period ends May 5. Any registered voter can cast an absentee ballot in person at any early voting site in their county. Same-day registration is also available during the early voting period. It allows eligible individuals who aren’t yet registered in their county to register and vote at the same time. Anyone using same-day registration must must complete a voter registration application and show an election official proof of their address in the county. Proof of address documents include a North Carolina driver license or other government-issued photo ID, or a copy of a current utility bill, bank statement, paycheck, government check or other government document showing the voter’s name and address. The regular voter registration deadline has passed, and voter’s may no longer change their party affiliation for this year’s primary election. There are just under 300 early voting sites statewide that will offer more than 26,000 combined hours of voting before Election Day, according to the State Board of Elections and Ethics Enforcement. Voters can search for early voting locations and schedules in their counties here. The busiest times are typically during the first and last days, according to the Board. Voters can and are encouraged by the Board to look up their registration online, where they can also view their sample primary ballot. In addition to in-person early voting, the state offers mail-in absentee voting. Election Day is May 8. “This is an important election year, and we encourage all eligible voters to choose the voting option that best fits your busy schedules,” said Kim Westbrook Strach, Board executive director. Previous PostNew report: Amazon a top employer of food assistance recipientsNext Post Report: Will General Assembly fix principal pay plan?